Growing up at the beach I never realized how much I love the smell of salt water until moving to the mountains. If you'd asked me a year ago the last vacation I'd want to take would be a beach vacation, but this year I'm craving one. And while I don't see a salt water and sun trip in my near future, unless someone wants to gift me one, I can't help but lust after all things screaming beach vacation. But maybe you're luckier than I am and have an end of summer beach trip planned. So if I did have a trip to a coast booked, here's what I'd pack. 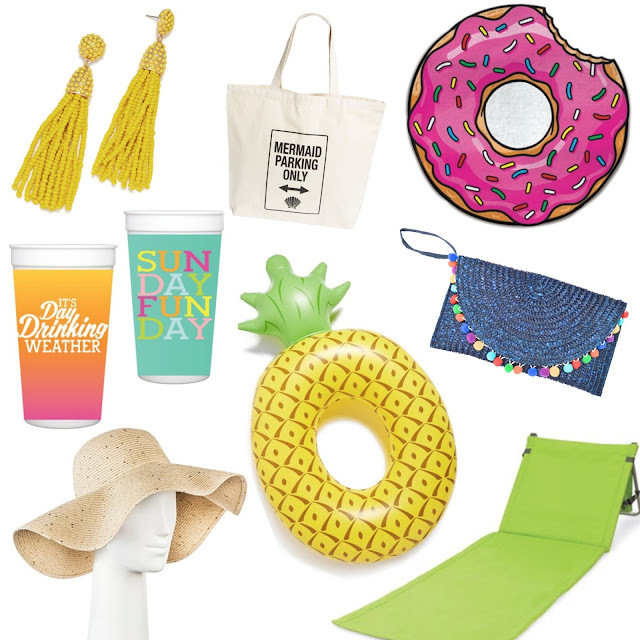 I'm especially lusting after that donut beach towel! What are your beach vacation must haves?